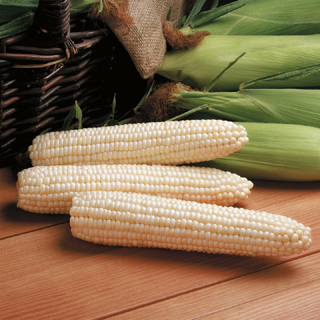 The ultimate white corn - juicy, succulent, sweet! Crunchy texture, full bodied flavor. Ears hold well on plant to extend the harvest over several days. 82 days. 8" long ears. White kernels.